This month is traditionally known for being very windy, all exposed plants should be well supported to minimise damage from the March winds and don't forget frosts can still be a hazard so vulnerable plants should still be protected when frosts are expected especially at night. As our weather has become rather unpredictable in recent years, a close eye should be kept on the conditions and jobs carried out accordingly. 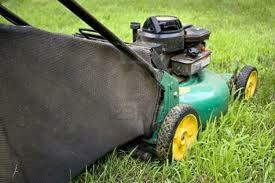 Very often the first cut of the grass can be carried out during March, ensuring the lawn mower blades are set to their highest setting, however if the grass and soil are very wet, then a great deal of damage can be easily caused but not so easily rectified, therefore if conditions are very wet it is probably best to delay this first cut. This month is also an ideal time for a good spring clean and to plan for the months ahead. Remove moss and weeds from paths and patios and dig over your beds and remove weeds, if you get on top of these tasks now it will make life a bit easier for the rest of the season.If you are creating new beds a good tip is to mark them out using dry sand trickled from a plastic bottle. If we get a dry spell take this opportunity to treat fencing, trellis and sheds with a good wood preserve, if this is not done before your plants grow tall it becomes an impossible task and the plants will hold moisture against the untreated timber and cause it to rot. New spring shoots should be protected from slugs, sprinkle around some slug pellets. Summer bulbs can now be planted and if you didn’t plant spring bulbs in the autumn then now is the time to plant out some pot grown bulbs to add some spring colour. The corms of Gladioli can be planted from mid march and if you plant at fortnightly intervals then you will ensure a succession of blooms throughout the summer. When planting, it is important to remember to plant taller plants behind the shorter ones. "If this all sounds too much then contact us, we are happy to provide a no obligation quotation for any of your garden requirements from design and installation to one off or regular maintenance."